You are here: Home » Beer Rumor: Sam Adams Latitude 48 IPA Variety Pack Coming Soon. Say Hello to Beer School in a Box! 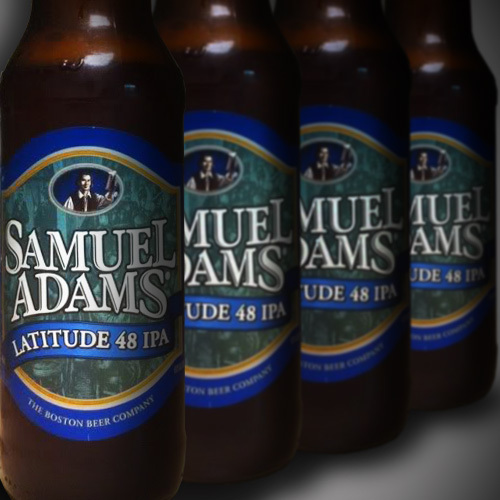 Beer Rumor: Sam Adams Latitude 48 IPA Variety Pack Coming Soon. Say Hello to Beer School in a Box! If you have ever doubted that the heart of a beer geek beats inside the chest of the Boston Beer Company, look no further than the Latitude 48 IPA Variety Pack that Sam Adams should be releasing in the coming weeks (or months – the 8 Ball is still fuzzy on this, but we’ve heard it’s a late spring / early summer release). Our source says the Variety Pack will be a 12 pack, featuring the Sam Adams Latitude 48 IPA as well as several single-hop editions of the beer. It’s basically a beer-tasting school in a box! The single-hop versions of the beer (confirmed by recently-approved label variations over at BeerNews.org) will be Hallertau, Simcoe, East Kent Golding, Ahtanum and Zeus. Too bad there’s not a Smaragd version, because that’s the best single hop beer I’ve had. This 12 pack is important for a few reasons. First, it’s a sign that Boston Beer hasn’t lost their love of beer nerditry. It shows that you can be a major player and still have a soul, which bodes well for the future of craft beer as other breweries we love continue to grow. Second, and most importantly, it’s an amazingly accessible way for folks across the country to learn about the nuances of craft beer. Even if these aren’t the best IPA’s ever made, the most casual beer fan will come away from this 12 pack with a better understanding of what makes a beer taste like it does. That’s pretty cool. Sam Adams does quite a few variety packs, but this one is obviously special. As the others were a chance for noobs to taste different styles of beers (or enjoy the efforts of home brewers), this one takes it to the next level, allowing folks to explore the subtleties of the art of brewing. I imagine this 12 pack will create more than a few beer geeks as regular folks explore its contents. We’ll keep you updated on anything else we hear about the timing of the release, and we’ll happily review the Latitude 48 Variety Pack as soon as we can get our grubby little mitts on it. I personally can’t wait. I work for a Sam Adams distributor in Va and can confirm some things. Latitude 48 IPA Deconstructed should start hitting shelves in mid-May. Each mixed 12-pack will contain 2 bottles of regular Lat 48 and 2 bottles of each of the single hop IPAs. BTW, the premise of this package is simple: Latitude 48 is brewed with 5 varieties of hops, which were listed in the original post above. I’m super psyched for this package, as each hop variety will be quite different. For example, Hallertau is a Noble hop known for providing more aroma than actual bitterness, while Simcoe is lousy with citrus bite. I would have liked to see a Columbus version. I will definitely keep an eye out for this, even if it’s just for the novelty. Yeah, I’d come up with a different list of varieties as well, but I’m just happy to see a brewery that’s so large do this. I’ll dig in as well, even if it’s just for the novelty as you say. It’s a fun box of beer. Good news then, Zeus is the same as columbus. That’s why it’s commonly referred to as CTZ: Columbus, tomahawk, zeus. Woot! I learned something new!! Does Smaragd have any pseudonyms? Because honestly, with a name like that, it should. Cool! Thanks for the info. That’ll make things easier next time I’m gathering ingredients for a batch. Columbus and Zeus are esentially different names for the same hop variety. You are getting what you asked for just not the name you are used to. It is also known as Tomahawk. That what I learned here Phil – all about CZT! I’m psyched for this, thanks for sharing. I’ve generally ignored them the last few years now, except for the very special stuff. I wonder if this really will be accessible to many people though. Are subtly different IPAs the best way to expose people though? I find that unless you’re already a beer geek, most people tend to lump IPA into one flavor profile, and they either like it (but don’t get it) or simply don’t like it. Either way, I will definitely be keeping an eye out for this! I was amazed the first time I had a flight of single hopped beers, Carmen. The differences were profound, especially sampling them in the same session. Even without a refined palate, I think the most casual beer fan will be able to appreciate the differences between the single-hop varieties and maybe even get in the mood to explore further (i.e. baby step to geekdom). Sort of like having tacos with different hot sauces on them – you can taste the differences, even if you’re not a connoisseur. Anyway, without this 12 pack, they’d probably never have the chance to experience something like this. I agree it’s worth looking out for. I’ve grown to enjoy Latitude 48 as a top notch “value” IPA. It’s certainly not world class but it’s solid, refreshing, well-balanced, abundantly available and inexpensive. Especially welcome now that it costs an extra few bucks to get the brew store these days. My respect for Sam Koch and Boston Beer has grown in recent months as well. While they’re clearly the big boys on the craft beer block – perhaps too big for comfort – they’re still in touch with the tastes of true craft beer geeks, even if they rarely feed the Gremlins after Midnight (as Sam Caligione does with regularity). Props to Boston Beer and I look forward to their single hop beer school in a box (but would have loved a Citra variety). Nice! And a 12-pack no less. I’d have to think that’s quite an undertaking and commitment. Good on them for doing it. Imagine it will sell quickly. I know I’ll be buying one if I spot it! Not quite the same thing. 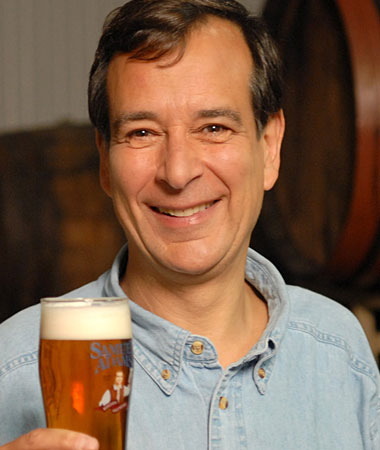 But speaking of beer school, Sierra Nevada will be releasing a 12-pack of their Beer Camp beers. I had a bomber of their Beer Camp #6 RIS. One of the better beers I’ve tasted from them. i have a bomber of that coming my way…glad to hear you liked it! I’ll have to keep an eye out for it. The Beer Camp beers struck me as more PR that praiseworthy, but I haven’t had one yet. Beer Camp #6 is the only one I’ve had. It was a solid RIS. The best I’ve had, no. But certainly respectable. I can’t comment on the goodness of the other beers. Until this 12-pack comes around, they don’t sell them much anywhere outside of the brewery and some places in California from what I understand. I’m intrigued by some of the recipes. I’d totally pick up a Beer Camp 12 Pack. this is awesome. I know Mikkeller does this but they are pricy. yea for beer! in other news, my chinook, centenniel, and zeus are starting to grow. Yeah each Mikkeller beer is like $7-$8 or so, making it really expensive to do a flight. Beer geeks will, but regular folks would never. This opens it up to the masses, which is cool. Good news on your hops. It takes a long time to get them going, no? yea first year should be low…second year is better. but I have tender hands…they will succeed this year. Unless the bears get into ’em. I want an Amarillo-hopped IPA. Had a commercial version of a Pale Ale from Boundary Bay (Bellingham, WA) some time ago. Made my own prior to tasting it as well. Now I’m wondering if there will be a control of some sort… target IBU’s, or similar dosing during the brew. Inquiring minds want to know. My guess it will be apples to apples as far as strength goes, otherwise what’s the point? Demonstrate the bittering factor of different hops. What can I say? This is awesome. Thanks for spreading a little cheer into my otherwise boring afternoon. I live in the Boston area and I know there’s plenty of my casual beer friends that will be all over this since it has the SA label. Anything to spread a little knowledge about hops, without shoving them in someone’s face. That’s a pretty good point. The SA label keeps this approachable and out of “beer snob” territory. Saw this over on BeerNews.org as well, and I gotta say I’m looking forward to trying it. I just tried the Lat 48 IPA for the first time this week, and it not bad at all. Beer edumukashun in a box! Yeah, I’m looking forward to it as well. I love the single hop idea and the other flights out there (like Mikkeller) cost an arm and a leg. Thanks for additional confirmation. I’ll add it to the post above. The “deconstructed” idea is cool. I’ll have to check these out. I tried five of the Mikkeller single hop series side by side with two of my friends and it was a real revelation (albeit expensive, as John mentioned). I wish they were coming out with a Chinook IPA so I could se how my own (well, Northern Brewer’s) version holds up to theirs. Already talking like a home brewer! I’ve had one of these in the fridge for a few weeks. Perhaps I’ll crack one open tonight! It’s good to see Sam Adams mixing it up a bit. I’ve never been a fan of the Boston Lager (kinda like the Starbucks of beer), but I gotta admit, they’ve been putting out some interesting stuff lately. The Noble Pils is fantastic, and I just read about their Wee Heavy which sounds fascinating (http://kimandtonic.com/2011/04/14/sam-adams-wee-heavy/). It’s to be a beer lover! Haven’t had either. But I did just finish up the Latitude 48 IPA (thanks to your inspirational post!). The Alemonger is right on the money. A solid IPA at a reasonable price. And the frightening part… a pour as beautiful as the Green Flash West Coast IPA. Not quite the Green Flash, but not that far behind either. Sounds about right. Most SA stuff is like a 9/10ths craft beer that always looks great in the glass. Hey Brothers, Looking forward to my personal tasting “class” in Wisconsin this summer! Maybe, as long as we can fit a couple of beers in between the Mike’s Hard Lemonades, Wendi! I have tracked down a pack of this stuff and am currently planning an extra meeting of the Saisons of Anarchy Beer Club that revolves around it.